For more than two centuries, humans have used hot air balloons to launch themselves into the atmosphere and observe the world below from a unique perspective. The exhilarating experience of riding in a hot air balloon safely and comfortably, however, has never been more accessible than now. 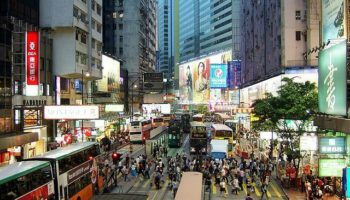 Today, adventurous travelers in every corner of the globe can enjoy amazing views of world’s most spectacular landscapes and ancient civilizations, gaining a new appreciation for the beauty and diversity that is planet Earth. Located an hour’s drive away from Melbourne, the Yarra Valley is best known for it’s world-class wineries. 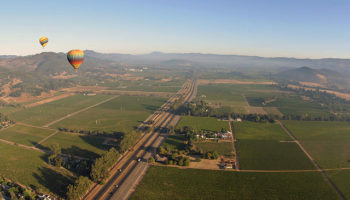 A hot air balloon ride offer visitors a safe and serene flight over undulating hills and glens etched with a patchwork of orchards, vineyards and farms with the distant mountain peaks of the Great Divide framing the scene. Hot air balloon flights are a popular pastime in Yarra Valley. 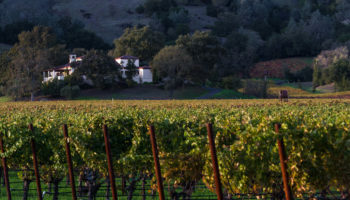 Many operators begin and end their flights at local wineries where visitors can toast to their memorable experience with their favorite wines. It’s no surprise that the hot air balloon rides offered outside the upscale city of Dubai are some of the most luxurious in the world. 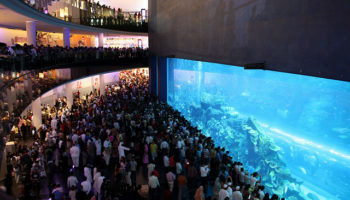 Passengers are picked up at hotels at dawn in nearby Burj Khalifa and transported to the lift-off site where they receive safety instructions before departing on an hour-long flight. 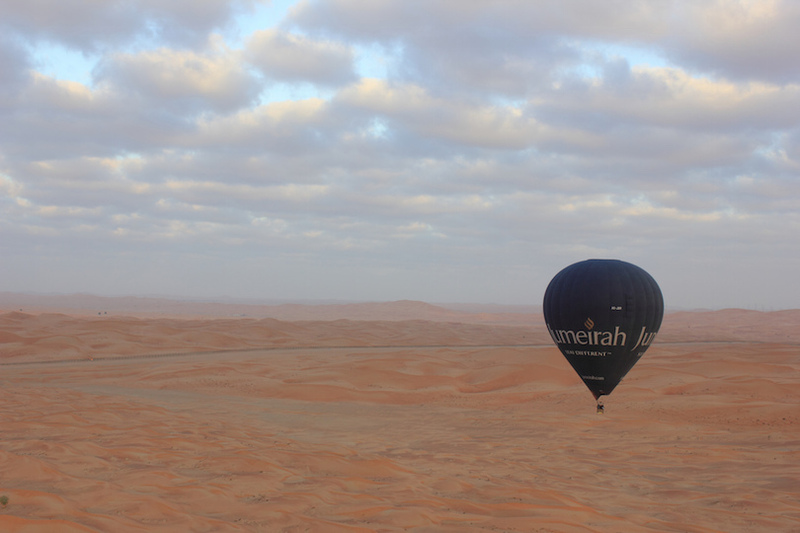 Balloons soar 1,200 meters (4,000 feet) high over rolling sand dunes and verdant oases where visitors can catch glimpses of camels, gazelles and the iconic Arabian Oryx. Baskets can accommodate as many as 24 people, but exclusive “bespoke” experiences are available as well, including couples ballooning. Situated around 50 km (30 mile)s to the northeast of Mexico City, the Teotihuacan Pyramids are the astonishing archeological remains of what was once the greatest city in North America. 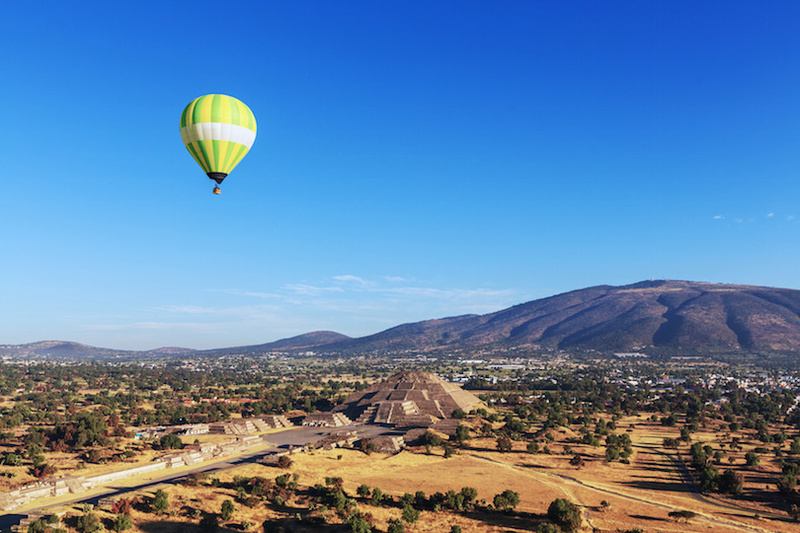 A hot air balloon flight offers visitors a bird’s eye view of site known as the City of the Gods. Although the path of the typical one-hour flight is dictated by the breeze, passengers can expect to enjoy views of the Temple of Quetzalpapalotl and the Avenue of the Dead as well as the massive Pyramids of the Sun and Moon. Home to the largest gathering of hot air balloons and ballooning enthusiasts in the world, Albuquerque is the ideal location to witness the awe-inspiring beauty of hundreds of balloons floating in the clear Midwest air. Every October, New Mexico‘s largest city hosts the Albuquerque International Balloon Fiesta, which includes concerts and fireworks as well as mass balloon launches day and night. 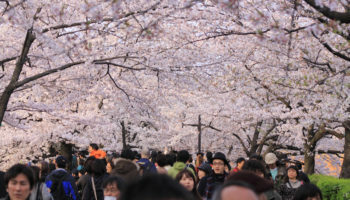 Many people attend the event simply to view the display from the ground, but the city allows authorized operators to offer hour-long rides to visitors during the festival as well. Home to the largest migration of mammals in the world, the Serengeti stretches from Tanzania into the Masai Mara National Reserve in Kenya. 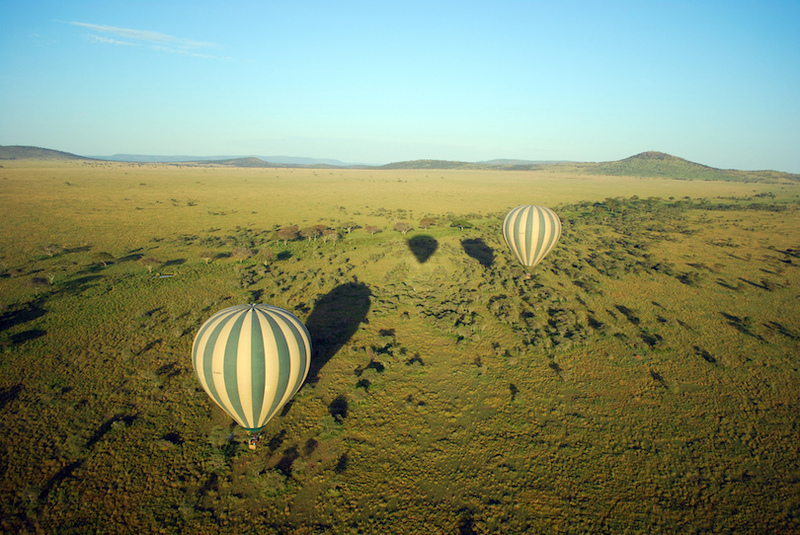 A hot air balloon ride over the Serengeti guarantees numerous animal sightings in any season. In addition to the more than two million wildebeest, gazelle and zebra that pass through the region during the Great Migration, there are lions, hippos, giraffes, elephants and other big game animals in abundance as well. The best balloon operators use low-noise burners that allow the balloons to float over wildlife undetected. 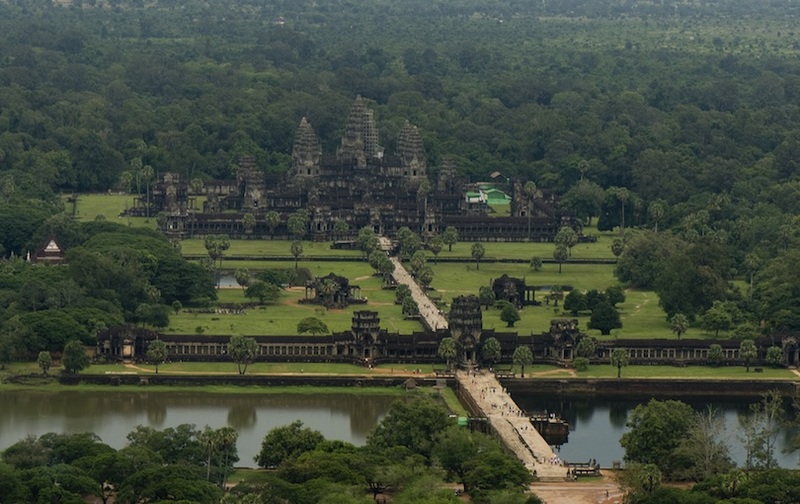 Angkor Archeological Park is most famous for the Angkor Wat temple complex, which is considered the largest religious monument on the planet. Built in the early 12th century, the temple is a prime example of classical Khmer architecture and is Cambodia’s most popular tourist attraction. It’s also the perfect location for visitors who may be timid about undertaking their first hot air balloon experience. Hot air balloons here remain tethered to a cable for optimal safety. Visitors can enjoy affordable ten-minute rides on days when the winds are calm. 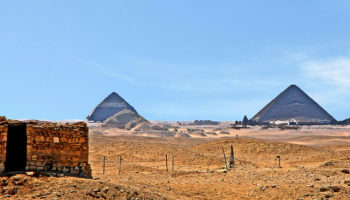 Located on the east bank of the Nile opposite the site of the four-thousand-year-old ancient city of Thebes, Luxor is often referred to as the world’s greatest open air museum. Hot air balloon flights allow visitors to float over famous archeological sites like the great hypostyle hall of Luxor temple, with its grid of thick, carved columns, and the Colossi of Memnon, the two massive stone statues of Amenhotep III. 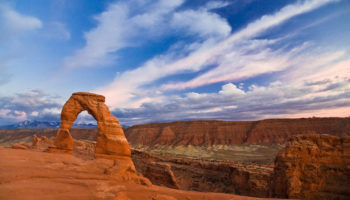 Flights by accredited operators provide safe and comfortable trips that last as long as two hours, which gives visitors ample time to soak in all of the many historical sites and monuments. 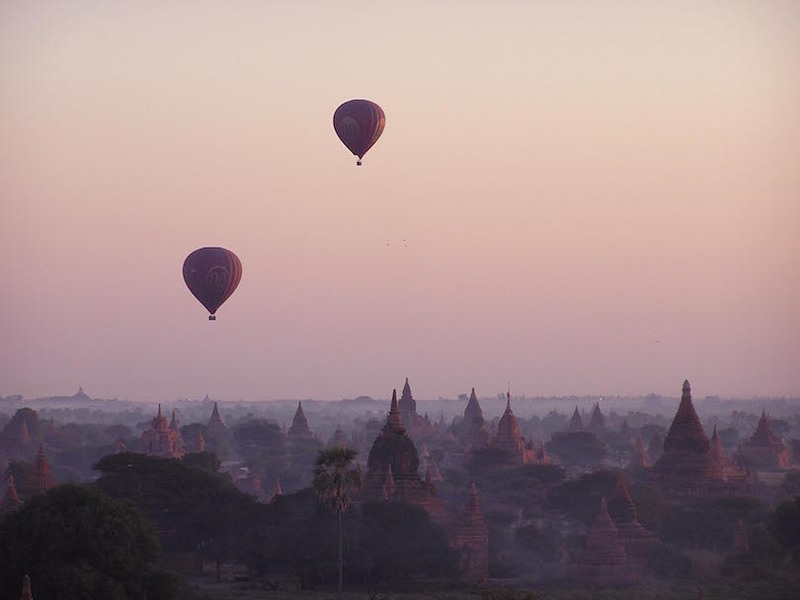 The most popular tourist destination in Myanmar, Bagan was the capital of the First Burmese Empire from the 9th to the 13th centuries. The site that Marco Polo once described as the “gilded city” was home to around Buddhist 13,000 temples in its 11th-century heyday. 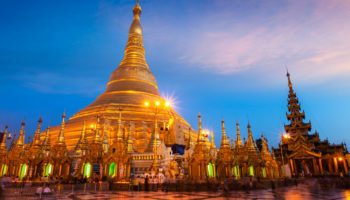 Today, visitors can float above the thousands of temples, stupas and pagodas that remain, including the famous Ananda temple with its sparkling gold spires. Hot air balloon rides are available from November to March when winds rarely exceed 25 km (15 miles) per hour. California’s Napa Valley is known the world over for its picturesque vineyards, and a hot air balloon ride offers visitors the perfect way to take in the serene beauty of the countryside. Eco-conscious residents and vineyard owners are dedicated to preserving the natural environment in all of its glory so passengers can enjoy uninterrupted views of the landscape. Year-round mild weather makes the Napa Valley an ideal hot air balloon location in every season. 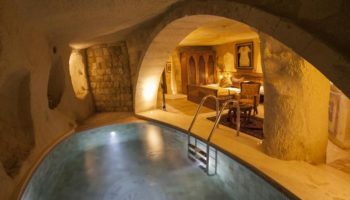 Local operators enhance the experience with information about the region’s world-famous wineries. 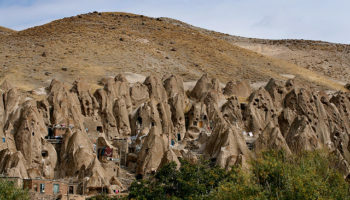 Located in Turkey’s Anatolian Region, the high plateau of Cappadocia is dotted with rock formations formed by volcanic eruptions that were shaped by thousands of years of wind and rain. Known as “fairy chimneys,” some of the rocky limestone spires became homes for the region’s earliest human inhabitants. Later populations carved ornate temples and underground cities into the rock. Hot air balloon flights are popular here and operators are highly experienced, often guiding the baskets deep into the valleys for a close-up view of the rocky structures. Luxor is the best place here… i’ve been 5 years ago… unforgettable experience! Best kept secret is the West entrance to Rocky Mountain National Park! Come fly with Grand Adventure Balloon Tours & help celebrate the parks 100th Anniversary! The celebration has already begun! 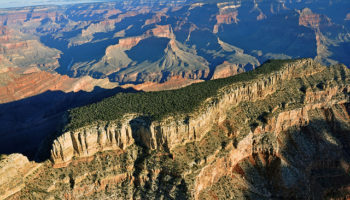 Viewing peaks from a balloon ride is offered year-round.